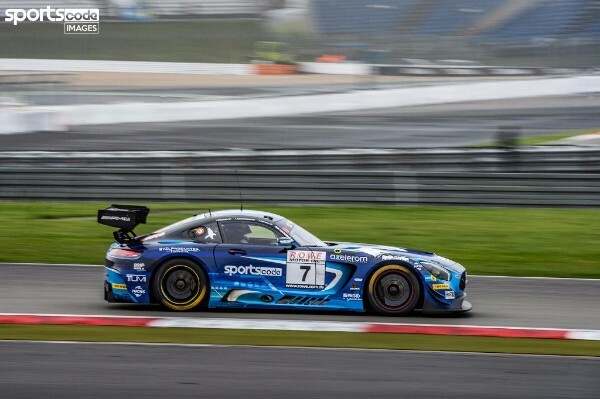 Adam Christodoulou led Team Black Falcon to a Pro-Am class victory in the seventh round of the VLN Endurance Series at the famed Nürburgring Nordschleife. 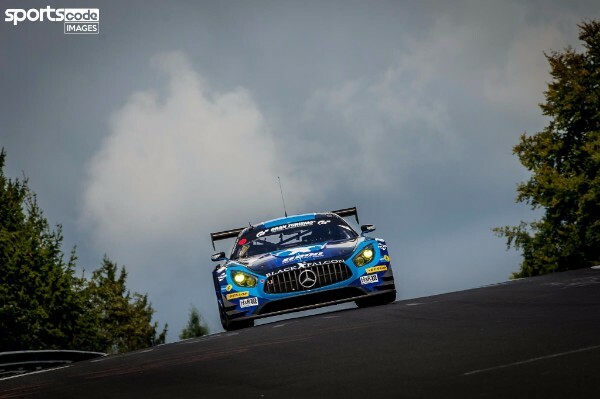 Sharing his usual Mercedes-AMG GT3 with Abdulaziz al-Faisal and Erik Johansson, the 2016 Nurburgring 24 Hour winner navigated changeable conditions to secure class honours and a creditable sixth place overall in the 17-car SP9 field. The Pro-Am win capped off a positive weekend for Christodoulou, whose primary focus was to develop a further understanding of the Dunlop tyre and welcome new teammate Johansson. 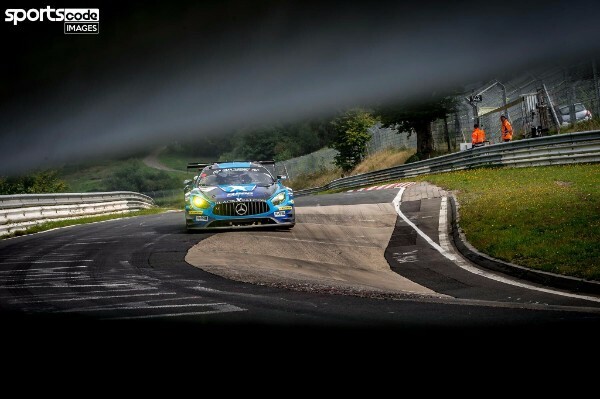 “Erik tested with us in the previous VLN but only on the Grand Prix circuit, so this was his first ever GT3 race on the Nordschleife and I thought he did a great job,” explainedChristodoulou. “Like everybody else, he’s out there to make a name for himself and I think he did himself extremely proud. Christodoulou was left frustrated during qualifying by a Code 60 in qualifying which cost him a clear lap when track conditions were at their best. The 27 year old had been second earlier in the session running on intermediates, but as the track dried and times tumbled,Christodoulou’s best lap was stymied by oil left from Brunchen to the Stefan Bellof Curve. Rather than a potential front-row grid slot, he would instead have to make his way forward from 12th, turning the race into a recovery exercise. “Qualifying was disappointing because I was set for being in the low 8 minutes on the predicted time but ended up losing eight seconds with the oil – I was just concerned with keeping it on track,” he said. Tasked with getting the team back into contention, Christodoulou drove a committed opening double stint up to fifth position and was impressed by the Dunlop consistency underneath him despite the typically tricky Eiffel weather. “It’s the second time I’ve been on the Dunlop and it really does transform the car,” he reported. 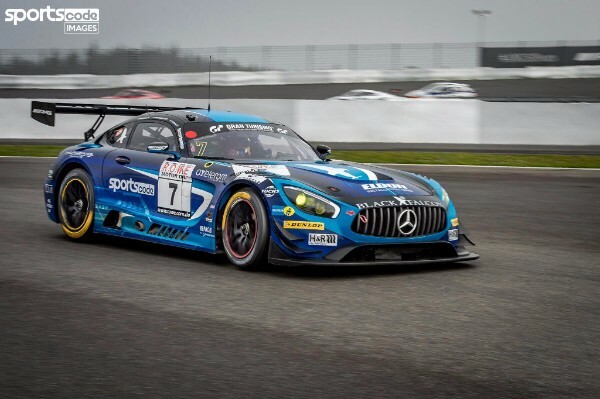 Although he narrowly missed out on the honour of being the first Mercedes home by 0.52 seconds, Christodoulou was pleased with the final outcome. “All in all everyone is extremely happy to bring home a win in class,” he added. Next up for Christodoulou is the final British GT round of the season at Donington Park (23-24 September), where he will again team up with Richard Neary and the Team ABBA by Rollcentre Racing outfit in pursuit of a first British GT podium of the season.